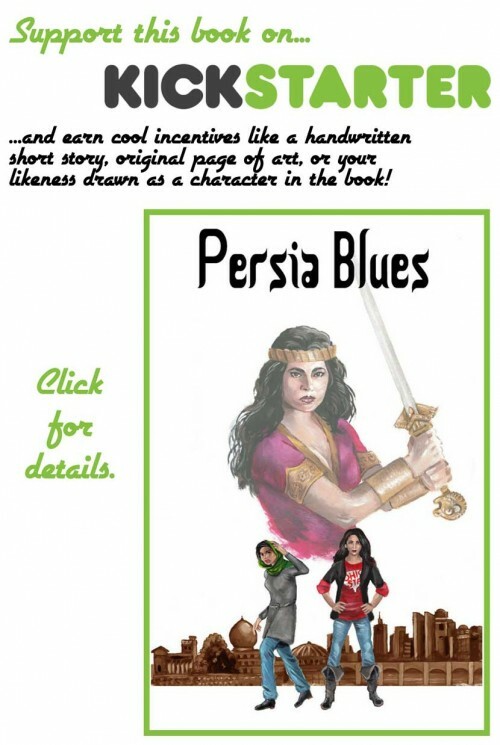 Hi, Dara Naraghi here, author of the recently announced Persia Blues graphic novel series, coming your way in 2013 from the fine folks here at NBM. A brief introduction: I was born in Iran, back before the Islamic Revolution. My family lived there through the revolt, the subsequent new regime, and the beginning of the Iran-Iraq war. Seeking a better life for us, my parents were eventually able to move us to the US, where I went to high school and college. I currently work as a project manager in the IT field, but comics and sequential art have always been my first love. Growing up in Iran, we were exposed to some American comics, especially the well-known superheroes like Batman and Superman. However, it was the translated European graphic albums that reigned supreme, with the most popular, of course, being Herge’s Tin Tin series. So from a very young age, comics were baked into my DNA. During college, I began dabbling in writing on the side, and even got involved with a fly-by-night indie comics publisher operating out of the west coast. Well, more like the publisher’s spare bedroom, which happened to be in an apartment in a city on the West coast. That experience soured me on the business side of comics for a while, and I lost interest in creating comics, though I still remained a fan of the medium. It wasn’t until about a dozen years ago that I met some similar minded creators in my hometown of Columbus, Ohio, that I started to become serious about writing again. We ended up calling ourselves the PANEL Collective, and have been creating and self-publishing small press comix for over 10 years now. 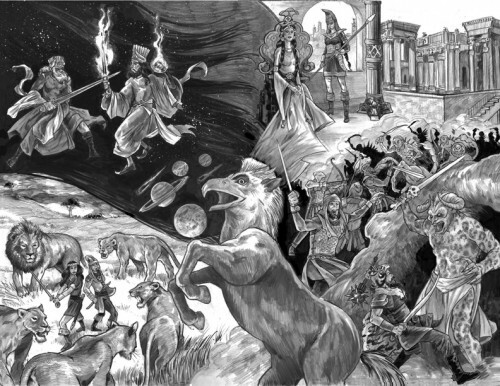 OK, so lots to talk about in future blog posts, but before I go, I do want to mention one last thing: ‘m currently running a Kickstarter campaign to help compensate Brent for all his work on the book. As of this writing, we only have 7 days left. We’re offering a variety of unique and cool incentives, including Persian cusine recipes and a chance to appear in the book. So please click on the image below and take a few minutes to check everything out. Thanks, and if you like what you see, please consider posting the link on Facebook or sending it to your friends. Word of mouth is the best way to help us get more eyes on the project.